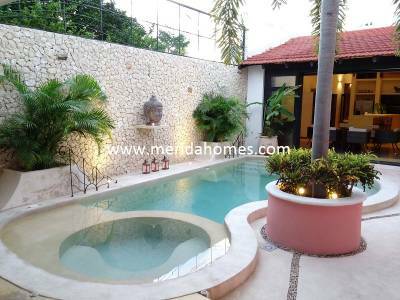 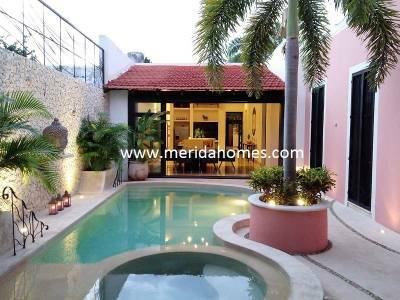 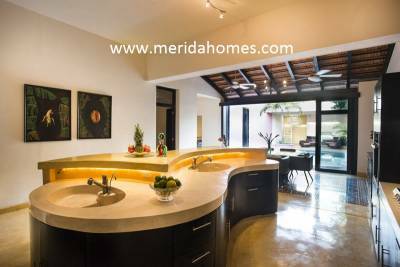 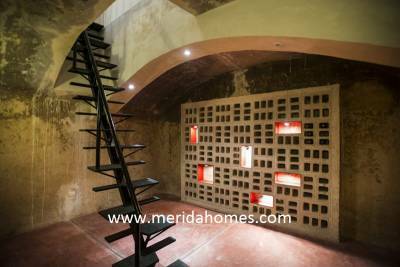 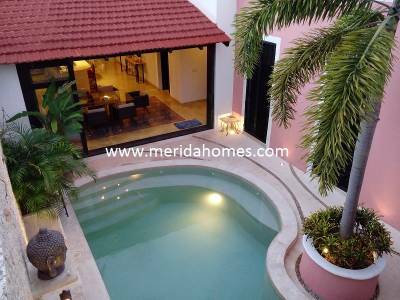 Description: Featured in Architectural Digest, Revista Ambientes and also published in other important media, Villa Rosa is the best example of the new Yucatecan architecture. 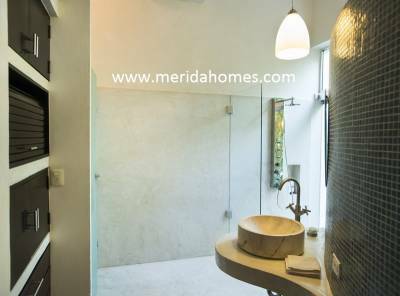 It preserves the elegance of the original structure, enriched with a contemporary approach and beautiful and functional spaces, filled with unique details that mix traditional materials with a modern design. 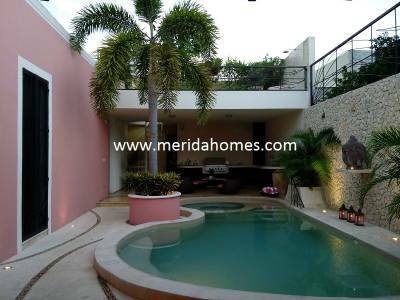 The front of the house is formed by the garage, garden and entryway. 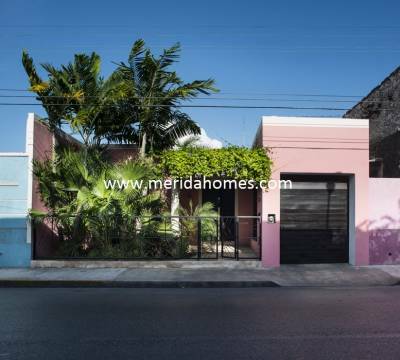 This separates the house from the street to make the rest of the house quiet and all city movement practically imperceptible. 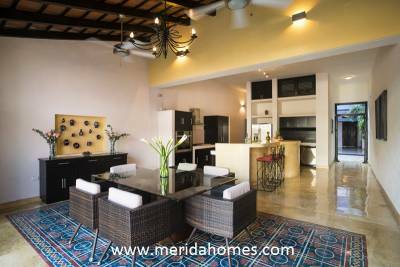 An entry room and separate TV room occupy the front rooms. 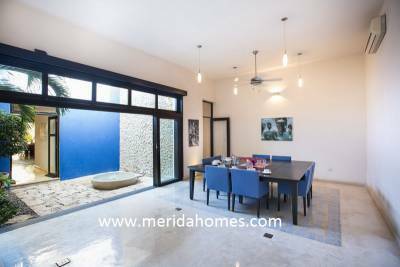 As you enter there is a stunning living / dining room; it´s the perfect space for entertaining and enjoying a dinner with friends. 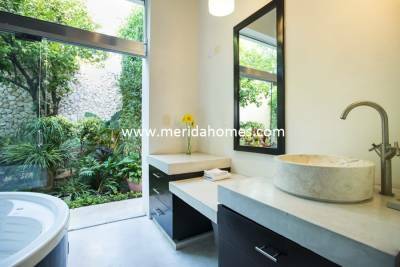 The first courtyard has a fountain and lush garden. 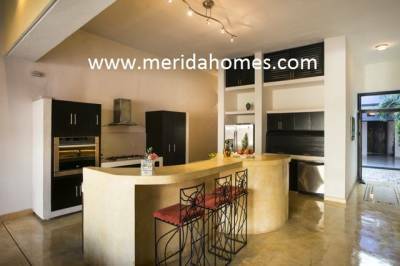 The hallway leads to the spectacular kitchen and family room with views to the pool. 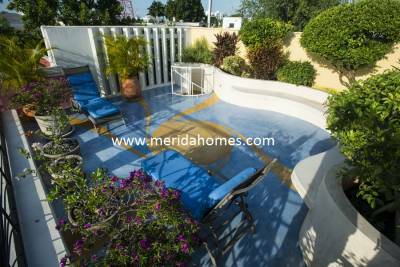 At the back, the terrace and sun deck are perfect to relax. 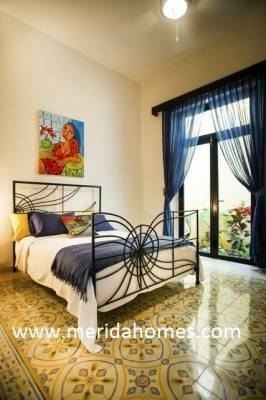 The bedrooms are aligned on the left side of the property and they all have views to an open area or courtyard. 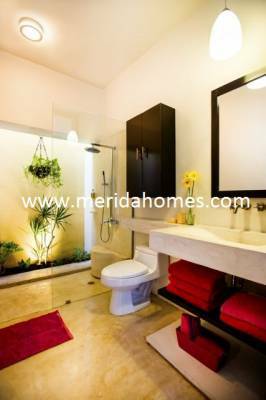 For more information contact Joel R. De Leon at (999)9289009, cell. 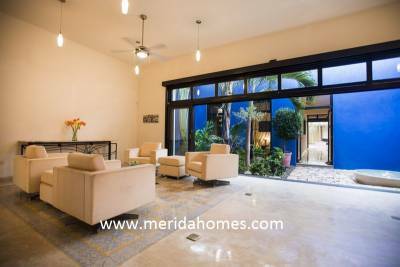 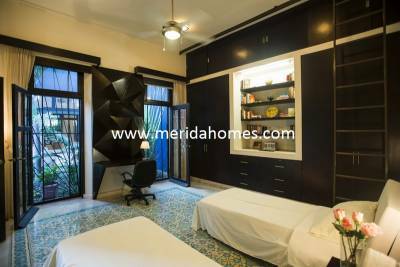 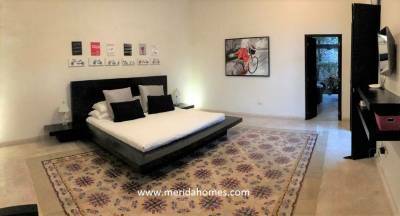 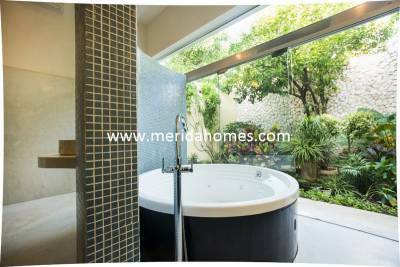 (999)1293815, by email to info@meridahomes.com or click on the contact link at the end of this page.